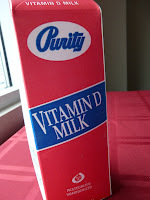 Scott's Web Log: Is Adding Vitamin D To Our Foods Causing Autoimmune Diseases? Is Adding Vitamin D To Our Foods Causing Autoimmune Diseases? An inflammatory immune response - one of the body's primary means to protect against infection-defines multiple established infectious causes of chronic diseases, including some cancers. Inflammation also drives many chronic conditions that are still classified as (noninfectious) autoimmune or immune-mediated. Both [the innate and adaptive immune systems] play critical roles in the pathogenesis of these inflammatory syndromes. Therefore, inflammation is a clear potential link between infectious agents and chronic diseases. Bacteria are a logical cause of inflammation. The current issue of Time magazine features an article entitled "The Vitamin-D Debate" by Dr. Sanjay Gupta, columnist and CNN correspondent (as well as considered by President Obama as U.S. Surgeon General, a role Dr. Gupta declined). Dr. Gupta's article reminded me of a story I caught a few weeks ago that I thought was worth sharing. We are living during a moment in history when vitamin D supplementation is at an all time high. After all, vitamin D is added to foods across the food chain - to the point where today, its not just added milk, but butter, cheese and other dairy products, soy milk, as well as juices, cereals, as well as grain & pasta products are all fortified with this vitamin. However, some people and organizations are asking a) do we really need this vitamin supplemented at all anymore? and b) are there any possible adverse impacts that this supplementation might have? Trevor Marshall from Murdoch University in Western Australia is on to something big. What's more, they believe Prof. Marshall's Protocol (also referred to as the Marshall Protocol, or "MP") can eradicate inflammation responsible for a host of different autoimmune diseases, and may be able to reverse these diseases. Autoimmunity Reviews funded by the Autoimmunity Research Foundation explains that low levels of vitamin D in patients with autoimmune disease may be a result of, rather than a cause of disease and that supplementing with vitamin D may actually exacerbate autoimmune disease. A summary of this study appeared in last month entitled "
Low Levels Of Vitamin D In Patients With Autoimmune Disease May Be Result, Not Cause, Of The Disease" appeared in Science Daily last month. http://bacteriality.com/wordpress/wp-content/uploads/2008/05/MPintro.pdf for a comprehensive overview. curemyth1.org where they will be answered by patient advocates. http://bacteriality.com/2008/06/19/interview22/ for some more Q&A details on this subject. The Marshall Protocol (MP) uses minocycline as its base antibiotic, which is taken for a limited period of time. In addition, patients eliminate any foods with supplemented vitamin D until the protocol is complete. It is then followed by a period of treatment with 2 different antibiotics. Minocycline is an already FDA-approved tetracycline antibiotic, and has a long history of safe use. Plus, supporters argue that the low dosage prescribed under the Marshall Protocol is far less disruptive, although there is a period after the treatment begins where patients have a high degree of photosensitivity (meaning, sensitivity to the light, particularly from the sun), but because the protocol is for a limited duration, the advocates claim the long-term benefits are worth the temporary side-effects. But what about bone mass? The latest study by the National Cancer Institute failed to show an association between baseline vitamin D status and overall cancer risk in men, women, non-Hispanic whites, non-Hispanic blacks, Mexican Americans and in persons younger than 70 or 70 years or older. here for some additional information on some of these) have a similar duration of treatment with accompanying side-effects and all. What does anyone else out there in the Diabetes OC think about this theory? Personally, I'm not yet completely convinced (but I probably could be), but I do believe that Prof. Marshall's theories deserve a closer look by the medical profession, the NIH, JDRF and other organizations who claim to be diabetes advocates. At the very least, the Autoimmunity Research Foundation is backing further investigation into the Marshall Protocol as a treatment for many autoimmune and chronic inflammatory diseases. I was struck by the theory too, when I read about it on Science News. OTOH, some googling reveals that Marshall has something of a shady past and if I recall correctly the organizations supporting his theory are run by him. That said, though, despite the association of low Vitamin D with inflammatory conditions I can find Zero studies where increasing Vitamin D has any impact on the condition. Definitely NOT in blood sugar related situation. The recently touted link between childhood allergies and obesity suggests to me that autoimmunity causes obesity (likely from the bacteria they're starting to find linked to it) not the other way around as the reporting would have it. My friend who does cancer research tells me they are finding bacteria linked to Breast Cancer now. The study that found a microorganism in the pancreas of people with both types of Diabetes but NOT in those of controls is highly suggestive. So if Vitamin D does turn off inflammatory response it might promote bacterial causation. Unfortunately Marshall seems to be another Atkins-like figure who is such a self-promoter with such a shady professional past that he won't (understandably) be taken seriously. Dr. Cannell of the vitamin D council.org wrote this in reply to a question about the Marshall Protocol. http://www.vitamindcouncil.org/newsletter/2008-april.shtml Scroll to the last section of this newsletter. The current research seems to support increasing vitamin D levels. The studies I have read that say vitamin D does not make a difference, used low dosages of D.
In terms of responses, I have to agree with Jenny in that Professor Marshall is undoubtedly a big self-promoter and his background is as an electrical engineer, not medicine, so that factor certainly should be considered. Also, he is involved with many (but not all) of the charities which support his work. However, for Mike and Anne, I'd like note a few items worth considering. First, to be sure, this was an opinion, but it is an opinion which is derived from a number of peer-reviewed studies and articles which are claimed to support various elements of the Marshall Protocol. Contrary to what Mike claims, the Marshall protocol is not a single study, and many of the claims cited have actually been published in peer-reviewed scientific and/or medical journals. The logic for the Marshall Protocol's claims are derived from a number of different studies which the supporters argue not only provide widespread replication but also broad-based support for various elements of the theory. We need to consider summaries and commentary sponsored by vitamin "industry" advocates who have only too obvious conflicts-of-interest and influences (and somewhat less objective), so one does need to question whether the references cited are in fact any more objective than Marshall's and his supporters. The main justification for supplementing vitamin D has historically to prevent rickets, a condition which today is almost unknown in the developed world. Claims of vitamin D's impact on cancer are, at best conflicting and by no means clear-cut, and a number of studies and meta-analyses by the National Cancer Institute validate these conflicts. Finally, note that "low" dosages of vitamin D are one thing in a carefully-controlled clinical trial, but quite another thing in real life, where the vitamin is now added to more foods than ever before and has become so prevalent across so many foods which do not normally have vitamin D. Again, as Jenny notes, despite the association of low vitamin D with inflammatory conditions, I also have not found any large-scale, replicated studies that demonstrate conclusively that increasing vitamin D has any beneficial impact on the condition, and this is certainly not true in the case of diabetes mellitus (type 1 or type 2). The bottom line seems to be that there are supporters on both sides of the equation, but I think it is very clear that additional research is worthy of pursuit and seems prudent. But before dismissing this concept outright, you might wish to make sure that your own claims to the contrary are solid! Vitamin D is a secosteroid. Steroids lower inflammation and make people feel better ... short term. That's why these studies are reporting benefits. No one is getting cured with Vitamin D. In fact, chronic disease is on the increase even with more and more people ingesting Vitamin D today. All due to poor science. I have completely recovered from diabetes. Fluwikie.com is in the progress of choosing some of the top blogs(which have adequate information) to receive recognition from Fluwikie.com as a Featured Blogger. 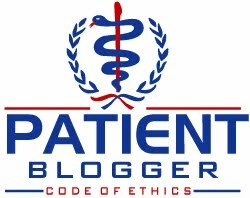 This award is not meant to be anything other than a recognition that your blog gives adequate information about tactics that directly or in directly raise disease awareness and prevent the transmission of Disease. Simply place the award banner code on your site and your blog will be listed as a Featured Blogger on Fluwikie.com. Flu Wikie is a Private Global Health Watch Group. Whose goal is to promote healthy living though the spread of FREE information globally. Thank you for your time and dedication to your blog! Fluwikie.com is awarding you as top resource and if you would like to get the banner, please email me back with the subject line as your URL to avoid Spam and also to make sure that you only get the banner. As a follow-up to these notes, I should add that there seems to be a growing acknowledgement even from the medical profession that there is a legitimate difference in vitamin D derived from the sun, and vitamin D that is derived from supplements found in foods. Think about that the next time you decide to load up on vitamin D supplements!